Rocky Mount Academy is committed to academic excellence and to the maximum development of each student's potential. 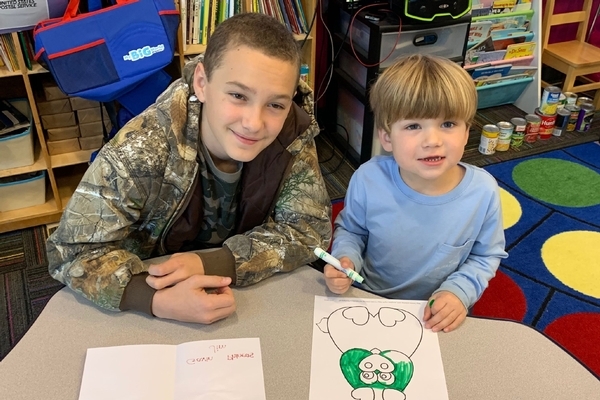 The Learning Resource Center was initiated in the 2007-2008 school year to provide additional and individual academic support or enrichment for students in grades PK-8. Sessions in the LRC assist students in areas of academic difficulty or enrichment utilizing multi-sensory teaching strategies in a structured, sequential manner. Students also receive direct instruction, as needed, in developing appropriate study and organizational skills. Specific goals and instructional strategies are prepared for each student using information from educational evaluations and input from parents, classroom teachers, and the student him/herself. The Learning Resource facilitator collaborates with classroom teachers and parents to provide maximum benefit for each student's learning. Q: Does my child have to have documented special needs in order to participate? Any student, regardless of ability or achievement, may enter the program. Q: Will my child be tutored individually? Your child can attend sessions individually or with one or two others in the same grade level at a reduced cost to all. Q: Will I have to pay for sessions missed due to school holidays, illness, early dismissals, and field trips? Q: Will I be committed for the remainder of the school year once I sign my child up for the program? Upon signing up for the program, parents are only committed until the end of that trimester. Q: Will children making A's and B's benefit from the Learning Resource Center? Yes, by reinforcing concepts learned in the classroom and helping the students maintain their averages. Students may also attend for homework support, test preparation, and help completing projects and reports. Q: My child qualifies for programs for gifted children. Is there a program for him? Students may attend the Learning Resource Program for enrichment in math, reading, or another chosen area.